Another honor for the Band to be a small part of Officer Casillas’ services. The Procession began at LA City Hall and escorted Kelly atop LA City Fire truck to the Los Angeles Cathedral. Cpl. 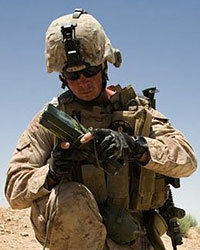 Reyes was killed in a training accident while served as a crew chief on the MV-22 Osprey aircraft. Reyes was deployed in March of 2012 to serve on the USS Iwo Jima. Two short weeks later, the U.S. Marine Corps informed his wife Candice that Robby had passed away in a military training exercise. 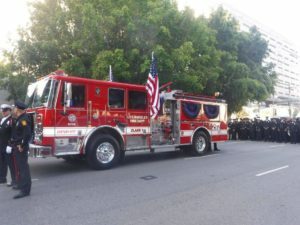 Los Angeles Police,Emerald Society Pipes and Drums were honored to be a small part in the services honoring him. 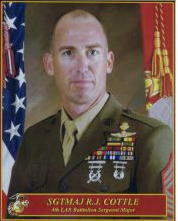 LAPD Police Officer III+I and United States Marine Corps Sergeant Major Robert J. Cottle was killed on March 24, 2010 by a roadside bomb in the Helmand Province of Afghanistan. 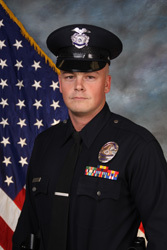 RJ was the first LAPD officer to be killed while serving in Iraqi or Afghanistan. 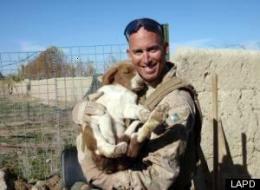 RJ had completed two tours in Iraqi prior to his deployment to Afghanistan. RJ was a member of LAPD’s elite SWAT unit. The LAPES Pipe and Drum Band would like to extend their condolences to RJ’s wife, family, and friends. Officer Simmons was killed in the line of duty on February 7, 2008 while engaged in a SWAT operation. 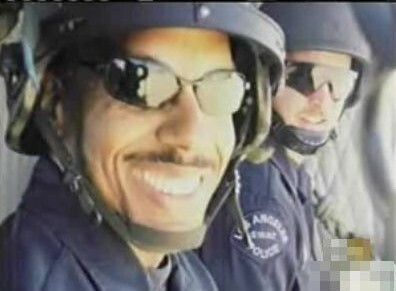 Randy was the first LAPD SWAT officer to be killed in the line of duty. The LAPES Pipes and Drum Band would like to extend their condolences to the family and friends of Randy Simmons.